Want it by Wednesday 24th April? Order within 2 days, 22 hours, 55 minutes and choose Next Working Day - Kerbside Delivery (Order Must be Placed by 2pm) at checkout. This floor is making us crave a stack of pancakes. This gorgeous maple colour is perfect for smaller rooms without much natural light, and it's light, warm tones will make any room look bright, spacious and inviting. What could be better? All natural flooring products will contain a mixture of prime quality boards (no knotting), a proportion of 'first sort (knots with filler, grain and colour variation) and second sort (oak with larger knots, grain and strong colour variation). 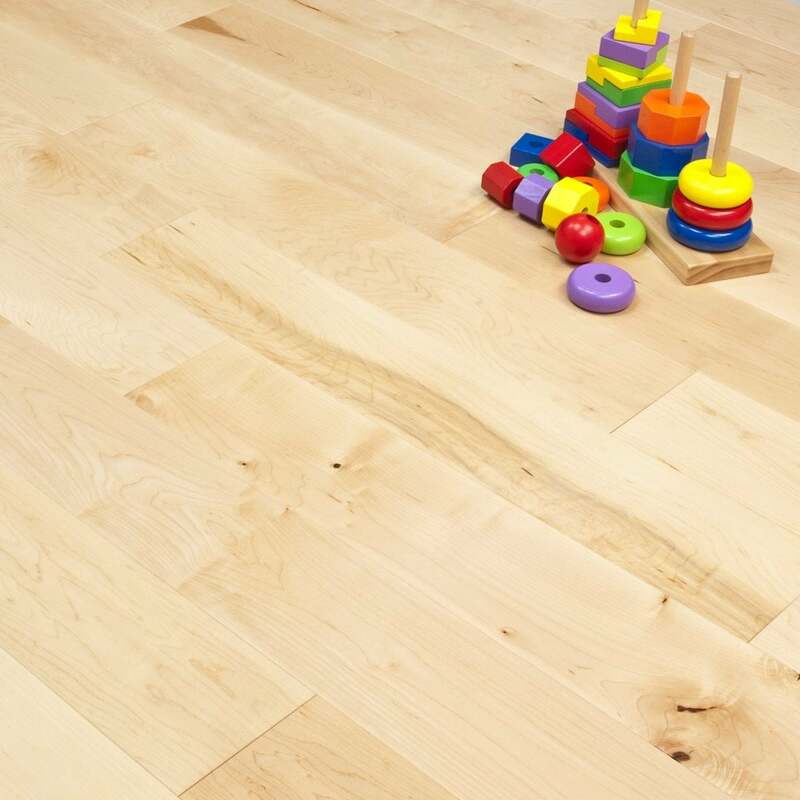 As solid and engineered wood flooring are natural products some boards may display heavy grain markings and figuring, wider colour variations and frequent knots of varying sizes and splits in which filler may be used. One of the best things about this floor is that with the thickness of the board, it can be stripped down and treated again more than once, so you can make the floor look different or new again, or if you like the look of aged maple, simply let the floor sit and absorb the years in your home.